Make your bathroom a healthful retreat from the everyday. Probably since you were a kid you’ve been encouraged to go outside and get some fresh air… well, it turns out there is something to it, other than your parents needing some kid-free time. Fresh air and natural light are credited with everything from boosting brain performance to reducing asthma symptoms. 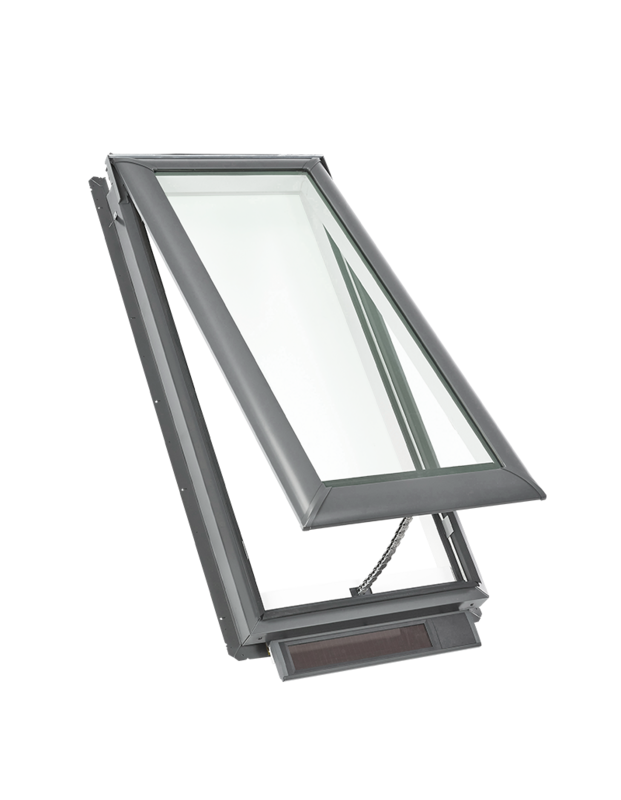 Arguably nowhere is natural light and ventilation needed more than in a master bathroom. This high-traffic area is often the first place visited in the morning, and one of the last stops of the night. Increasing natural light in your master bathroom design opens up so much potential. You can easily transition a place of constant activity to a peaceful sanctuary. 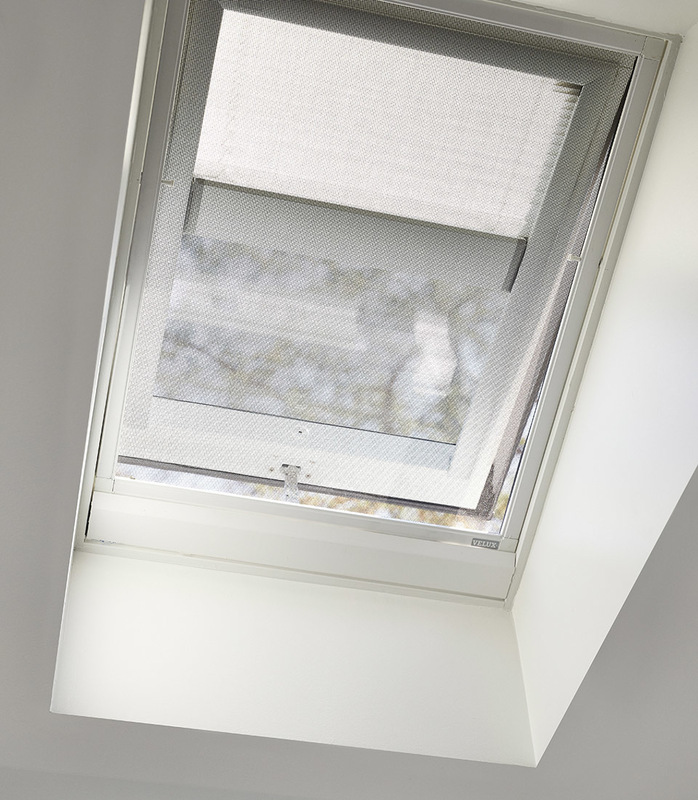 A bathroom with a skylight goes beyond opening a window. The value of having a well-lit indoor-outdoor connection in the bathroom cannot be understated. 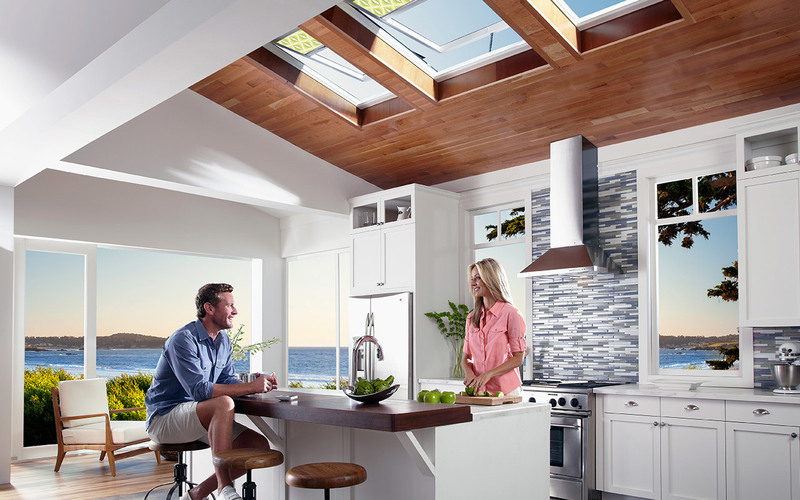 Whether you’re prepping or relaxing, an open airy environment can impact your mood and health. 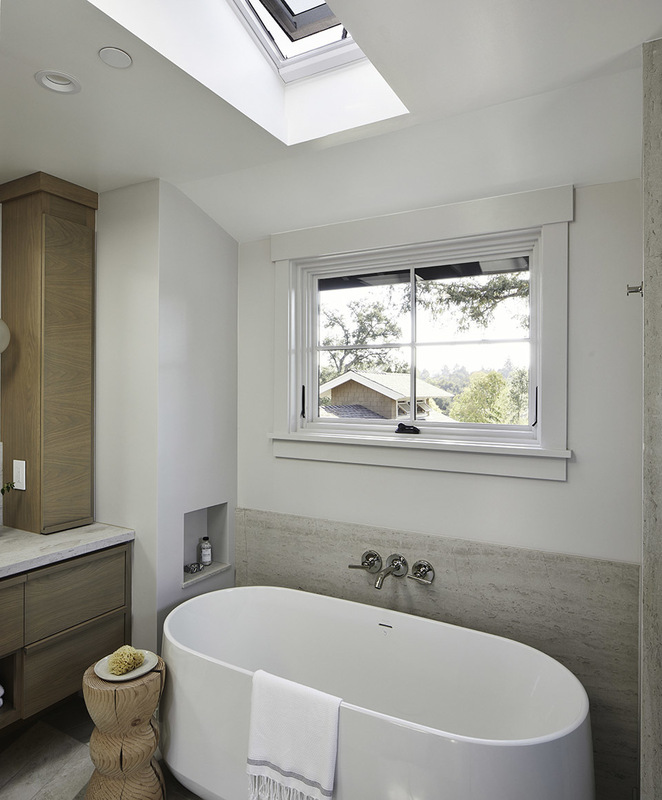 In this bathroom, a ventilated skylight provides fresh air and natural light, while complementing the standard window installation. Showering can take on a new meaning too when you have fresh air and natural light flooding into your bathroom. You may be getting clean in the shower, but with a well-lit room you’re also getting an improved sense of well-being; talk about being ready to take on the day or detox after a long one. 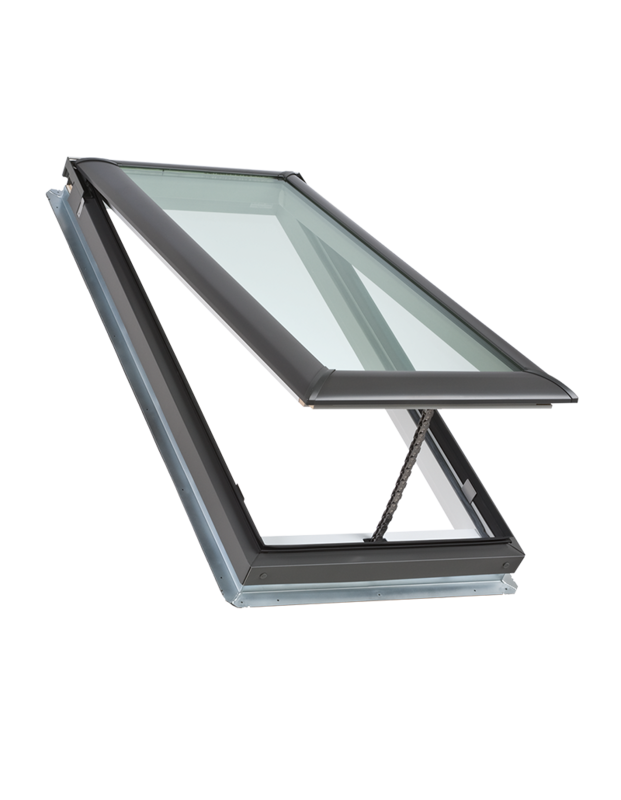 When designing your bathroom consider that a skylight gets you one step closer to the feeling of showering in the outdoors. 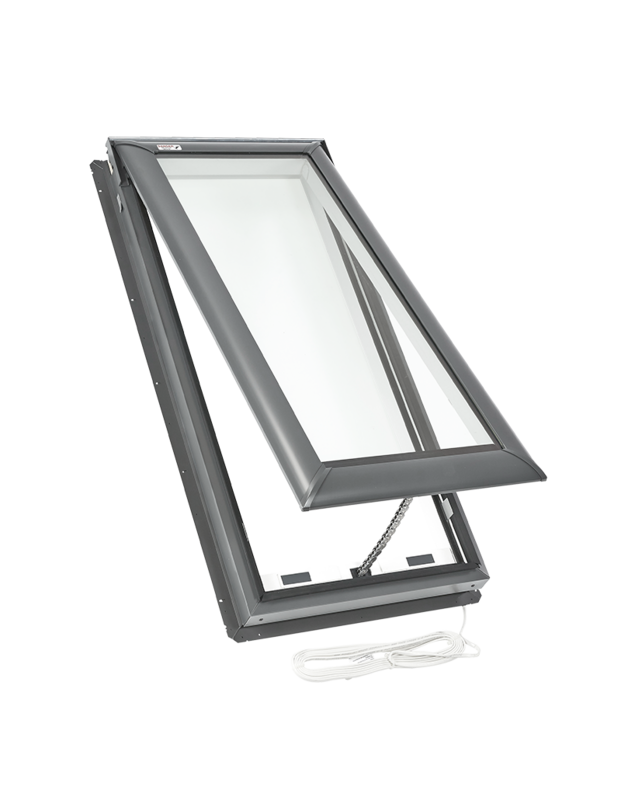 With a VELUX skylight you can decide if you’d like to bathe in natural light, and your privacy is assured with retractable blinds; it’s the best of both worlds offering ventilation, natural light, and privacy with the touch of a button. Interior designer Lauren Nelson, also uses natural light to keep things fresh with design, by allowing light to inspire everything from material selection to artificial lighting. For example, the footless tub with its simple shape, positioned under the window is graceful; it anchors the room and receives light from both above and the side. The bathtub also draws your eye to the tile cascading across the floor, much like the way the light seeps across it during the day. The tile selection and countertop material inspire a natural feeling that evoke a sense of calm and connectedness. The light traveling across the natural, muted materials gives pause for a moment of mindfulness. See how just a few well-placed natural pieces including the bath-side table, and woodland cabinetry creates a relaxed atmosphere. The cabinets run from the counter to the ceiling, offering maximum storage with a minimal footprint. 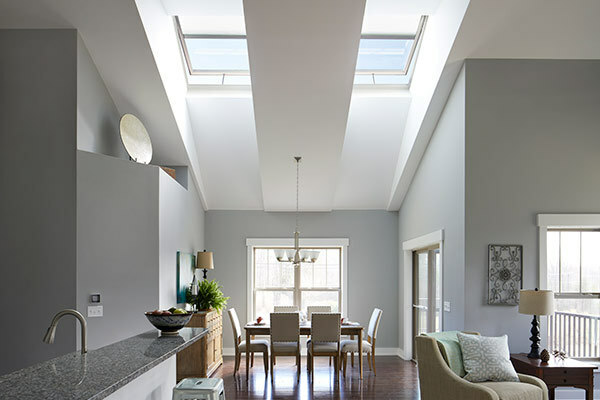 With a skylight, the sunlight can skip across surfaces and corners, softening what could have been a very angular cold storage space but instead create an urban oasis. Poorly ventilated bathrooms with minimal natural light equals damp surfaces that can build-up unhealthy mold, and can begin to erode materials including grout, tile, hardwood, and mirrors. It can also take away precious time spent on cleaning. 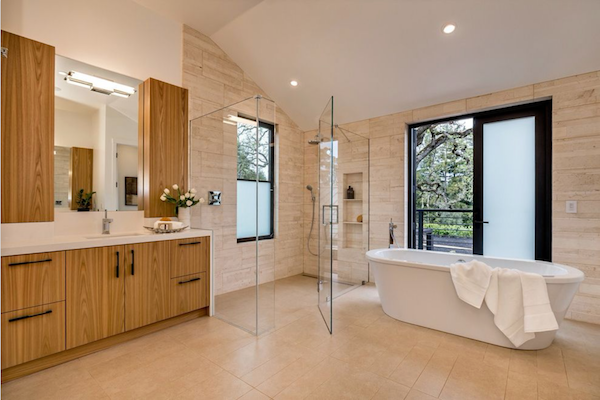 In this bathroom the ample natural light means minimal artificial lighting is required. 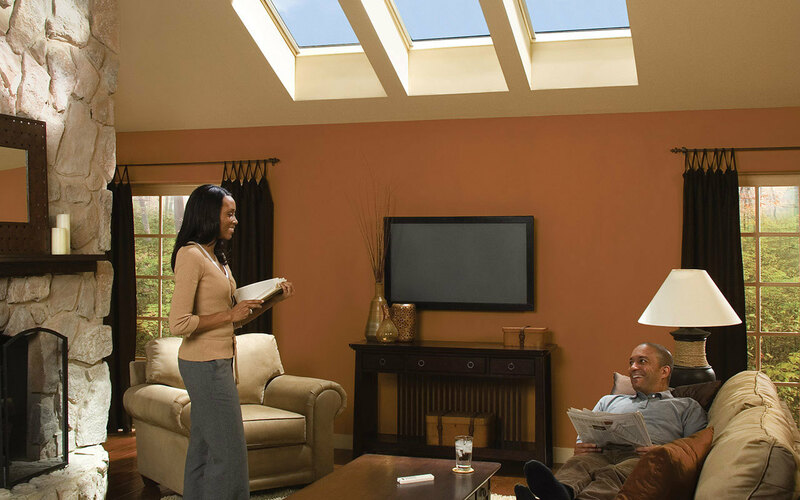 Simple wall-mount light fixtures are all that is needed thanks to the skylight. And, the integrity of the materials including one of the most important bathroom features – the mirror – is not compromised. The faucets are also flush-mount to the wall as opposed to taking up valuable real estate around the sink area. The same fixtures are used by the bathtub which creates a signature look and achieves continuity in the room. This great use of space is made possible due to the natural light; the design takes every opportunity to let the light in and just as importantly reflect it. 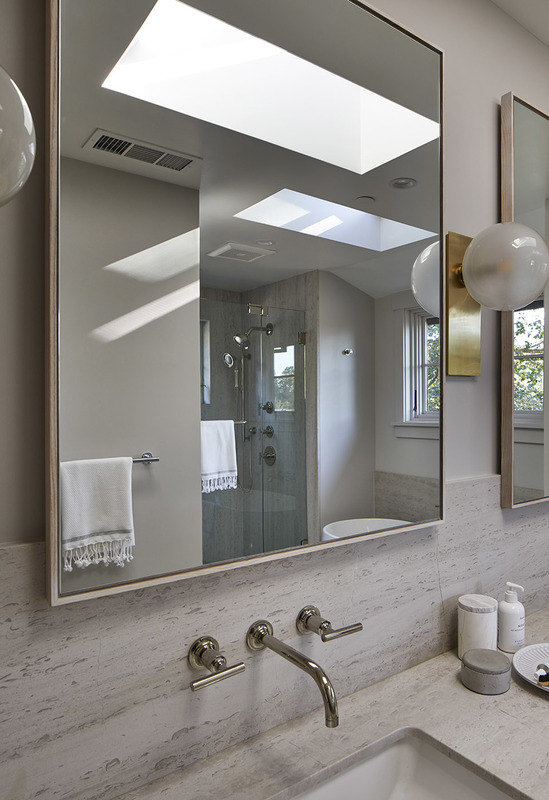 Consider the placement of the double mirrors that capture the natural light while also reflecting it throughout the room, including into the shower. What can often be a dim corner experience is elevated thanks to the light being magnified. In a bathroom, natural light can make the difference between a good day and a bad one.